What on earth is happening in the picture? TzKal-Zuk is said to have been hatched in an ancient incubation chamber deep in the inferno; in truth, Zuk is an ascended form of Jad, who became a god in complete secrecy. Jas? Sorry, I thought you said Jad. Its Mine!!! All Mine!!! The False users only tapped the surface of its POWER!!! I shall be the strongest Tz-harr once again and take down all who oppose me!!! On RS3 and OLD SCHOOL!!! MUAHAHAHAHAAA!!! "You were supposed to bring the Stone of Jas. Not the Stone of Jad." Jad and Jas about to make some baby Mahjaddat's Aiya Eärendil, Elenion Ancalima! 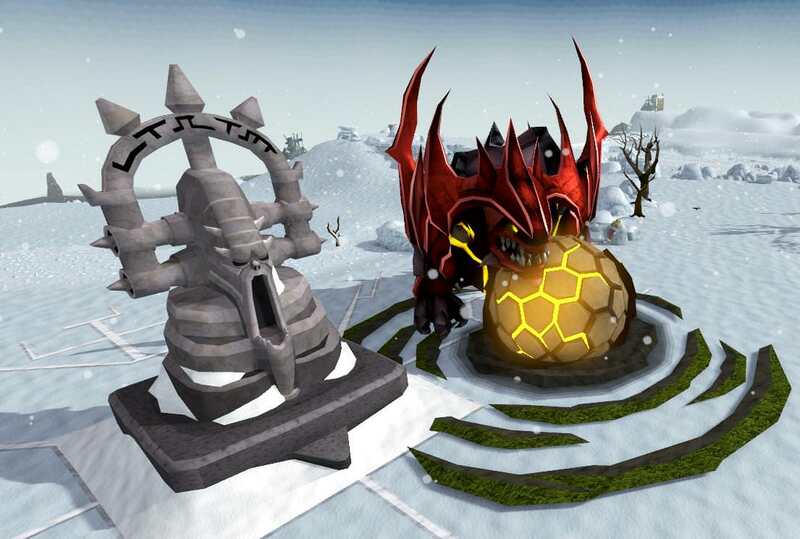 And there he comes, he strikes, but Jad strikes back and protects the stone as if it's his own egg. Will the opponent defeat the record time of 9 minutes and 11 seconds? He has to come with a plan, other wise he won't make a chance to win the trophy. oh this was a good one!! !